Chimney caps aren’t the focal point for homeowners with fireplaces and chimneys, but they’re definitely an important piece to the puzzle. Chimney caps have many great benefits and can help prevent unwanted problems from happening in your chimney. 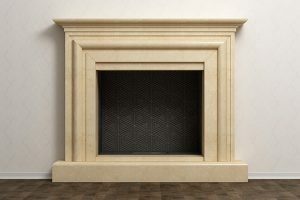 You want to be able to fully enjoy your fireplace all winter long. A properly functioning chimney cap will help you achieve that goal. 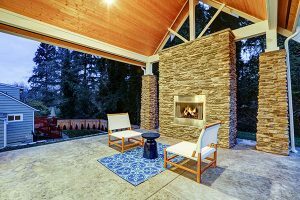 Luckily, we’re your go to chimney experts and we’ll go over everything you need to know about chimney caps in this article. Not to be confused with a chimney crown or chase cover, a chimney cap is located at the very top of your chimney and is a metal structure that covers the opening on top. 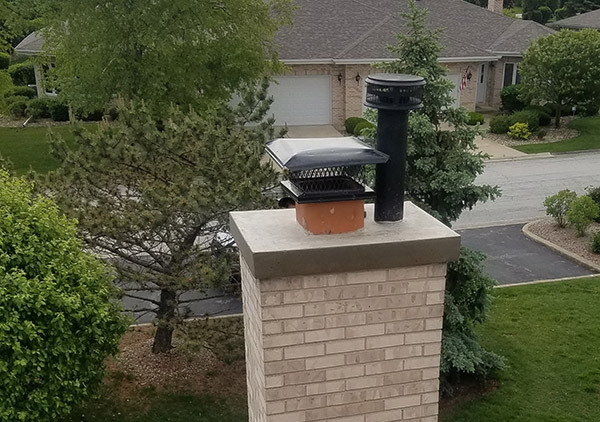 Whereas a crown and chase cover are what covers the bulk of the top of your chimney, there still obviously has to be an opening for smoke to come out of. That’s what the chimney cap is installed above. They come in a wide variety of shapes, sizes and even finishes to help match your chimney and the rest of your home’s exterior. Now, let’s get into why they’re important and what they provide for your chimney and home. The benefits of chimney caps can range from moisture protection to animal invasion prevention with many other benefits in between. Below, we’ll take a look at the biggest reasons why your chimney should feature a chimney cap. Moisture is your chimney’s worst nightmare. 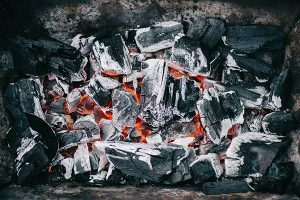 When water has an easy path into your chimney, the problems that’ll arise if you don’t take care of it can end up costing thousands in repairs. Your brick and mortar will deteriorate faster and your liner and damper can become damaged. Plus, whenever there’s buildup of water in your home, the possibility of mold and mildew growth becomes greater. 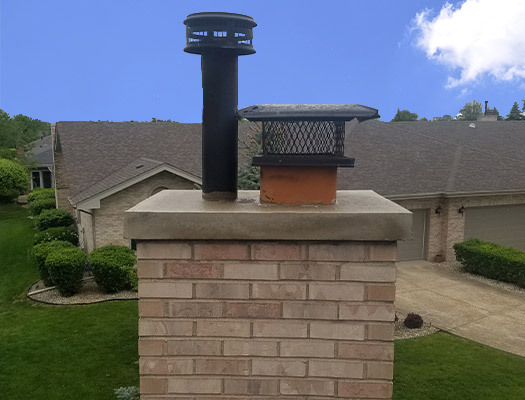 A chimney cap will keep rain water out of your chimney which will lead to a longer and healthier life for all aspects of your fireplace and chimney. 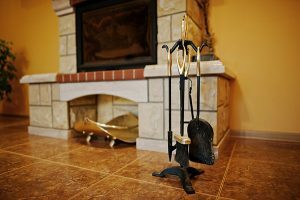 One of the most common annoyances that people face with their chimneys is when it’s windy outside and drafts sneak into their home while they’re using their fireplace. Not only does this make your fire less efficient, it creates a health hazard because smoke can get blown back into your home. With the addition of a chimney cap, you can get rid of your draft problem or prevent any drafts from entering in the first place. 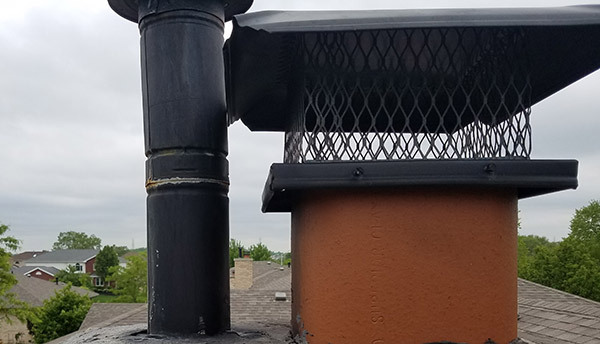 As a homeowner in the Chicagoland area, you know that it’s often quite windy outside, so it only makes sense to install a chimney cap to avoid any problems. As you may know, when you burn a fire in your fireplace, there are sparks and embers that flow up through your chimney. These particles from the fire can end up on your roof or can come in contact with trees or power lines nearby. While it’s not very common for these sparks and embers to trigger fires, it’s still entirely possible and does actually happen from time to time. One way to ensure that this isn’t even a possibility is to install a chimney cap. It’ll catch and contain any stray embers and keep them from landing on your roof or anything else nearby. Another very common chimney problem is when animals and debris get in your chimney. Obviously, anytime wild animals get inside your home it’s a problem. Oftentimes, they’ll get stuck in your chimney and end up dying which leaves a smelly, rotting corpse behind. Plus, they can damage other parts of your chimney if they get inside. The simple solution? Get a chimney cap. Another thing that will get avoided with a chimney cap is any debris build-up such as leaves and branches. You need the inside of your chimney to be as clean as possible so that you can enjoy your fireplace with no worries. In order to fully take advantage of all the great benefits of chimney caps, you must make sure it’s installed correctly. An incorrectly installed chimney cap will basically render it useless. It won’t be able to prevent moisture, drafts and animals from entering nearly as well as a properly installed one will. That’s why it’s important that you leave the installation to the professionals. You can trust Early Times to get the job done right. We’ve been providing excellent chimney and fireplace services since 1985. When Chicagoland homeowners have a chimney project that they want done, they turn to Early Times Home Solutions. Our experienced technicians know everything there is to know about chimneys and how to properly work on them. When your chimney isn’t cared for by skilled professionals, it cannot perform as well as it should, and that’ll end up costing you more money down the road with repairs. To ensure that your chimney cap is correctly installed and does its job perfectly, get a free quote online from us and we’ll help you every step of the way.